Transform your time with God using the First 5 app, developed by Proverbs 31 Ministries. We believe in giving the Lord our firsts! So it only makes sense for us to give Him our first thoughts of each day. First 5 was specifically designed to wake you up with a short teaching in God’s Word first, before you get distracted by social media and everything else screaming for your attention. It will equip you to better study and know the Word of God. Features Alarm Clock Functionality Avoid distractions by using our builtin alarm clock. Set your alarm in the app and choose a custom message. Daily Scriptural Teaching When you turn off your First 5 alarm, you’ll go straight into a 5minute Teaching. One verse a day We unpack books of the Bible using one verse per chapter per day. So, instead of your verse of the day being random, with First 5 you’ll start to sense real progress in your understanding of the Bible. “My Moments” Reflect and respond to each day’s First 5 teaching. Visit the “My Moments” menu item to see your collection of responses from previous teachings. 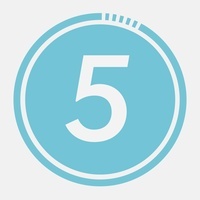 Share and Engage Connect with people all over the world who are also giving their First 5 minutes to God by commenting under each First 5 teaching. Weekend WrapUp Video Each Saturday, you'll receive a 10minute video from the First 5 writing team with additional teaching from that week's passage of Scripture. Mobile Backgrounds Stay connected to what you’re learning and keep God’s Word front and center in your life by using our designed lockscreens. They’re free and easy to download! Check these links to find your download for First 5 for & iOS or for your device iPod TouchiPhoneiPad. The app First 5 is compatible with te following devices.